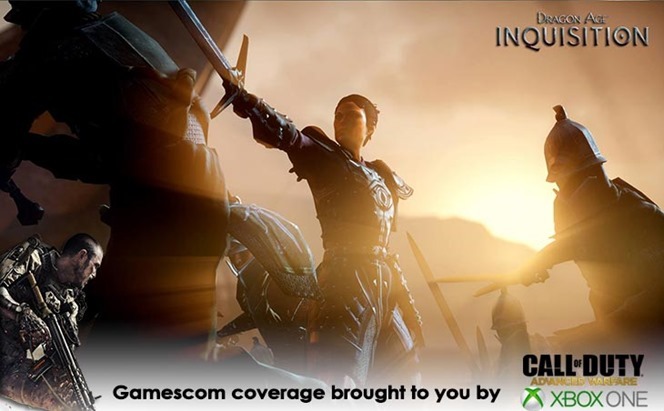 EA kicked things off at Gamescom today with a brand new gameplay demo for Dragon Age: Inquisition. Spells, swords and shivers, it’s all looking pretty amazing still. Changing pace from some of the more cheerful gameplay demos we’ve already seen, this new walkthrough introduces us to a brand new area on the map. It’s dark, rain is pouring down and ominous lighting rages in the background. It’s all very gloomy and beautiful at the same time. We got to see more tactical and action-orientated combat, with the two systems seamlessly working together. Dragon Age: Inquisition is going to feature hundreds of spells and weapons for you to toy around with. BioWare is stressing the detail here, giving you all the tools you need to really make your Inquisitor feel unique and alive. It all looks like it’s coming together very well, while retaining most of the elements that made Origins such a damn fine RPG. There’s also a new trailer for you to sink your teeth into, which briefly introduces some of the threats you’ll be facing as the Inquisitor. It; also gives away the appearance of some pretty important characters, so be warned.